A monochrome conversion consists of removing the Color Filter Array (CFA) from the CMOS sensor. This layer consists of very tiny filters that cover the individual light sensitive diodes, a.k.a. pixels. These filters are arranged in a pattern known as the BAYER pattern. 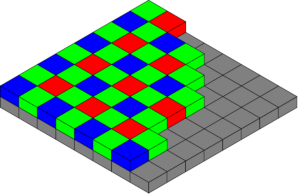 There is one Red, one Blue and two Greens filters in a two-by-two grid that is repeated over the entire surface of the sensor. Each of these filters has a lens that is placed directly on top of it to help focus the light down through the filter. 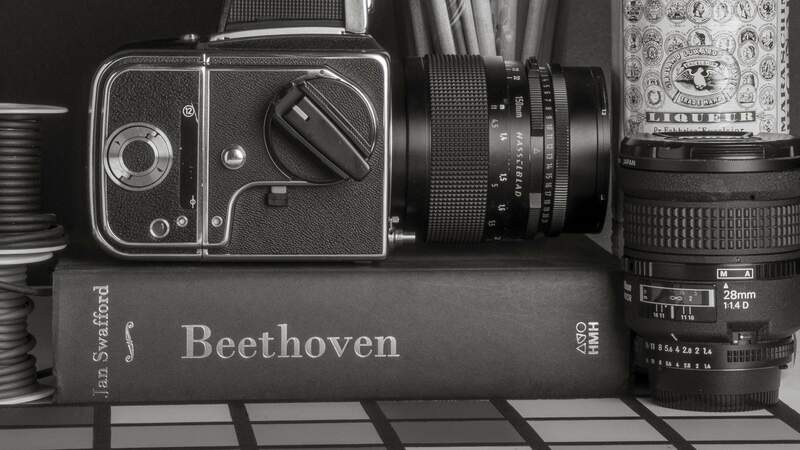 The monochrome conversion consists of carefully removing these filters from the sensor. This is the tricky part, and this is where I specialize. My process is harmless to the silicon base upon which the CFA is attached, and I currently have a 100% success rate using this technique. Removing the CFA from the CMOS sensor is no easy task, but is worth the effort. The result is increased sensitivity and resolution, along with a sensor that behaves more like film. The sensor is only capturing luminosity values, just like B&W film does, and the file does not have to undergo any de-mosaic algorithm in post processing. The full frame conversions are really the way to go, but I’ve had some very good images from the converted APS-C sensors. Go to the Sample Galleries to see what those smaller sensors can do. The actual conversion process between the two sensors is very similar since they are both constructed the same in regards to the CFA. 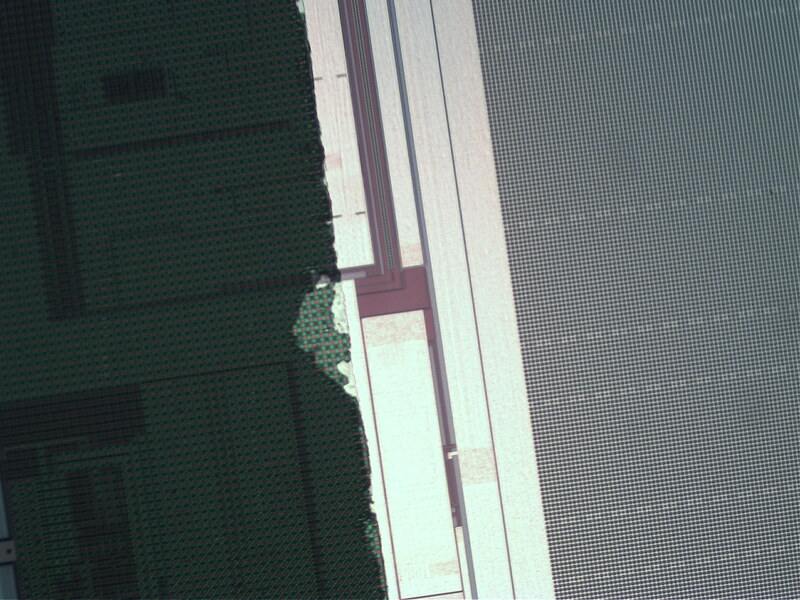 The image at left is a 200x magnification of a section of an a7(m) sensor. You can clearly see the CFA RGB squares near the center of the image, and the individual pixels on the right. Notice that the pixels are actually round, and not square like the filters. The dark area to the left is an area that has not had the CFA removed, so it also contains the micro lenses that sit on top of the filters. You can also clearly see the difference between the two areas as far as the amount of reflected light. The CFA area is much darker and blocks more light than the converted area on the right. This alone is a full one EV stop difference. Go HERE for a little more information about this increase in sensitivity. This image was taken using a phase contrast microscope—click to enlarge. I also have an image of an a7R-II sensor at 200x magnification here.